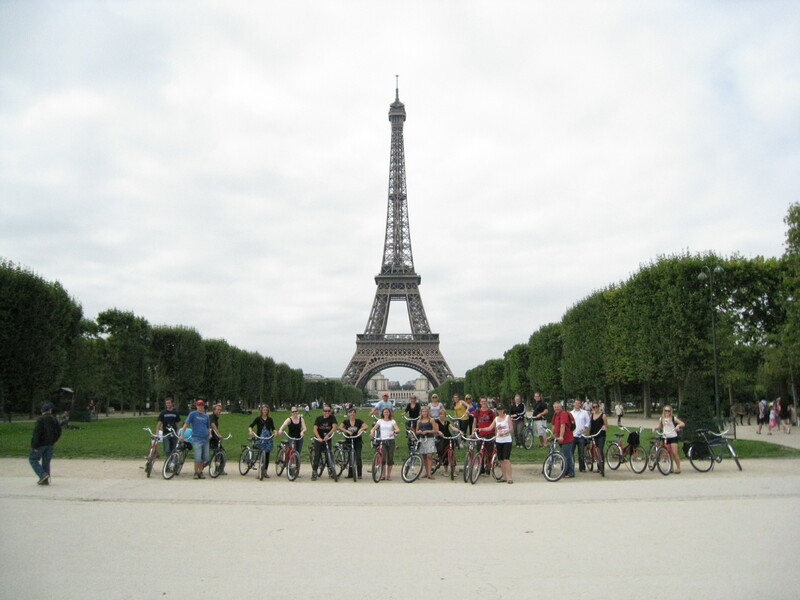 Tuesday started with a bike tour of the city that provided plenty of great scenes for photography and satisfied any need to be a dare devil by biking on the bustling streets of Paris. The day ended with what else but the Eiffel Tower. The Tower is currently lit with blue lights and is decorated on one side with yellow stars, which represents the European Union. 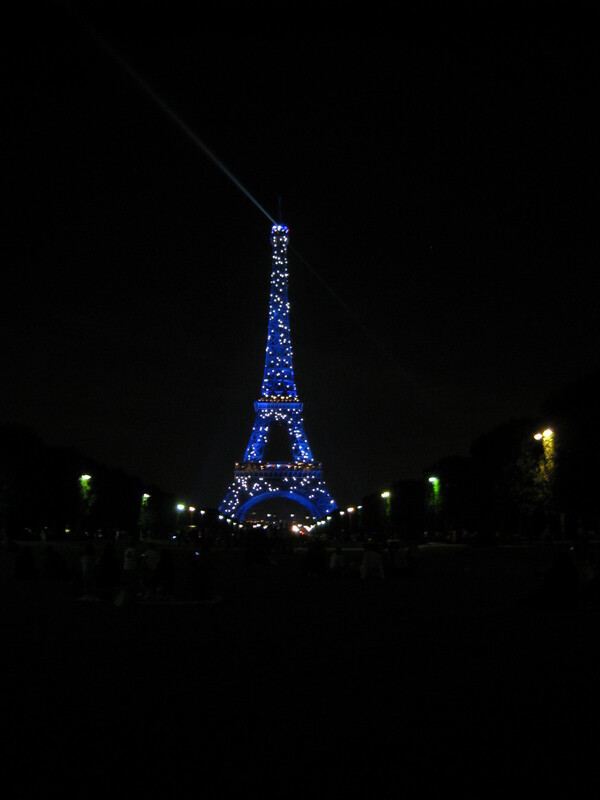 Around 10pm, the Tower sparkles for 10 minutes every hour on the hour. It was breathtaking. Wednesday has been filled with the Louvre–the world’s largest museum. We got to see and were allowed take pictures of the famous Mona Lisa, Venus de Milo, and more. We then visited some other little places you may have heard of like Notre Dame, St. Chapelle, and the Orsay Museum. Better and more pictures to be posted soon. All the pictures in this post were taken with Mell’s little point and shoot camera. Only 3 more days until the wedding! The groom was supposed to fly from New York today, so we hope the computer glitch with the airlines has been resolved. Tomorrow, we leave to get acquainted with Jossigny France (just outside of Paris), where much of the wedding celebration will be held.